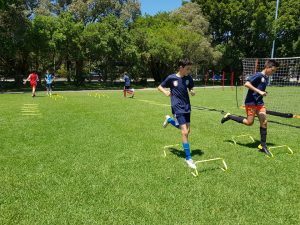 UFA training sessions are mainly offered in between outdoor (football) seasons, when summer Futsal season is on. 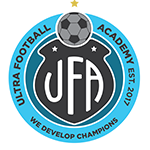 During outdoor season UFA runs Winter Squads sessions for players who would like additional training. Our programs are structured on the exclusive coaching plans used by several European clubs and National development plans. Squad sessions: 1.5 hour training sessions for up to 12 players. (During Futsal season, our Futsal teams will have up to 9 players, with additional 3 spots for squad training only). Our teams compete at NBFA and SGFA competitions during summer Futsal. Complete package includes: 23 coaching sessions for NBFA season; 13 for SGFA, including the coaching on the game day. Players who wish to train with squad only can enrol for 10 – 15 sessions. From 2019/2020 – all the players will be graded and placed into the teams based on their skill level. 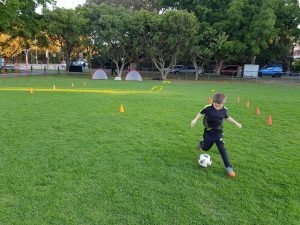 1.5 hour sessions for 2-6 players. Designed for those who would like additional training to improve overall skills within closely monitored and active coaching environment. These sessions are designed for individuals who really want to take their training to the next level. Trough active coaching and careful analysis, we provide ongoing mentoring for faster development. Enrolment: A minimum of 8 sessions must be booked in advance. Socialising at UFA : While our primary focus is on training and development, we also make sure to have a great time together to make lasting friendships. At the end of every season, we organise a Team Day Out to celebrate and recognise our achievements. Throughout the season, we organise group visits to the Ultra Football store and to an A-league match. Football : Like to train with us all year around? 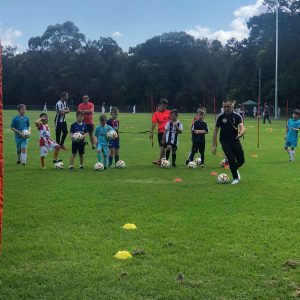 You can enquire about our squad at Dee Why Football Club. During 2019 season we are going to train twice a week at Dee Why. Our sessions are well planned, longer in duration and we practice active coaching before, during and after the game. 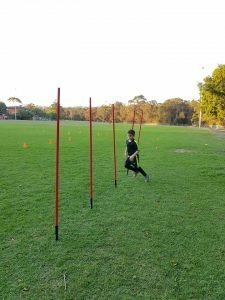 UFA cares about player development and for that reason SAC (speed, agility and coordination) component is permanently included in our sessions. This helps to develop or refine key physical abilities of our players. Together, we create exciting learning environment where the respect, accountability, teamwork and fair play are the main values for every individual and the group. Contact us about the prices and next enrolment intake.